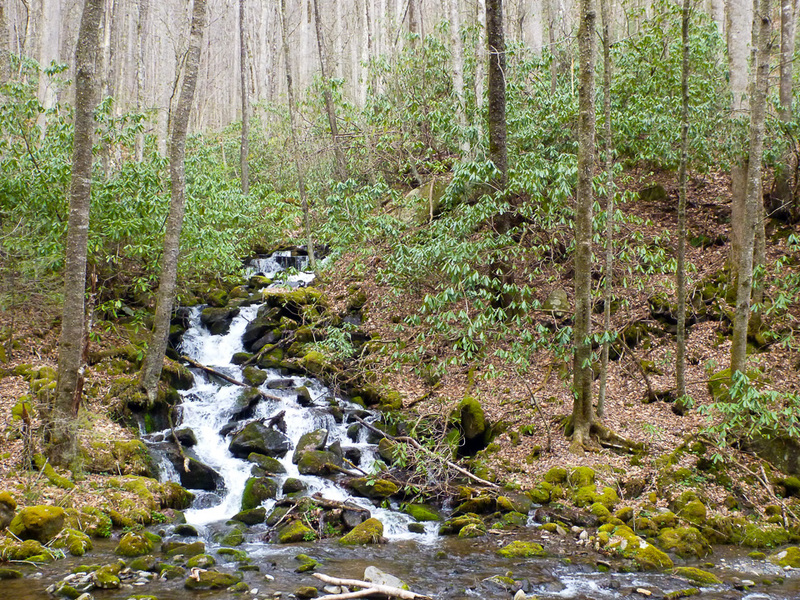 Straddling the border between Tennessee and North Carolina, Great Smokey Mountains National Park protects a serene section of the greater Appalachian Mountain Range. 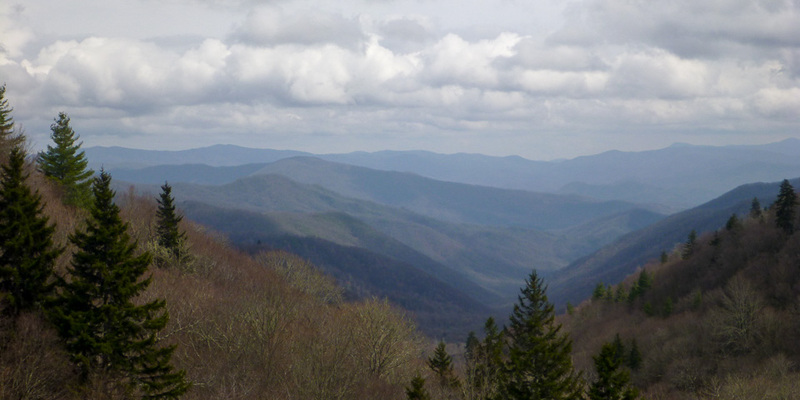 The Smokies get their name from the low lying clouds which frequently flow through their valleys an pulse over their peaks. The interior of the park is accessed by driving the winding New Found Gap Road which vertically divides the park between east and west. If you’re feeling charitable, keep an eye out for Appalachian Trail hikers who need a ride in to Gatlinburg to resupply. I gave a seasoned hiker named Ryan a lift into town, and the stories, sights, and smells made for an engaging sensory experience. Detour from New Found Gap Road to Clingman’s Dome for an elevated 360 degree view over the sweeping mountain landscape. 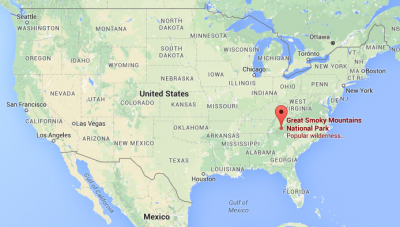 Consider hiking a section of the Appalachian Trail. 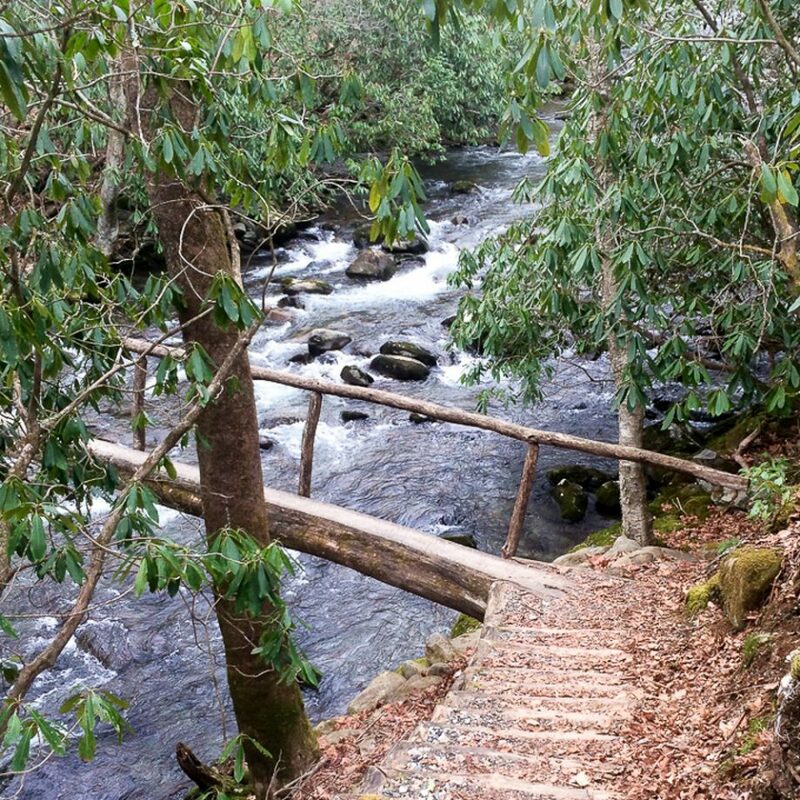 For instance, Charlies Bunion is a popular 8 mile round trip hike, or if you can coordinate being picked up, take a 3 night backpacking trip from Newfound Gap northeast to Big Creek. 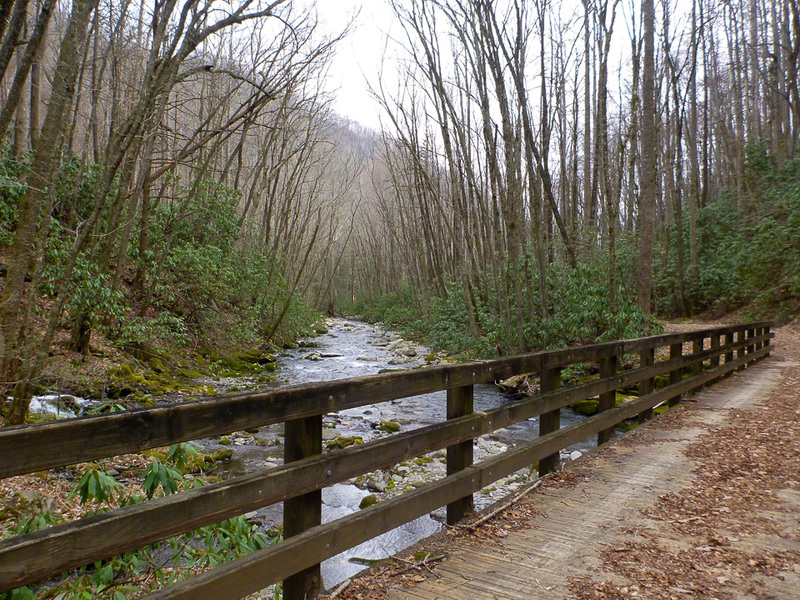 I’d like to drive the less traveled roads in the park such as Balsam Mountain Road and Little River Road. For more information on my visit, check my post. 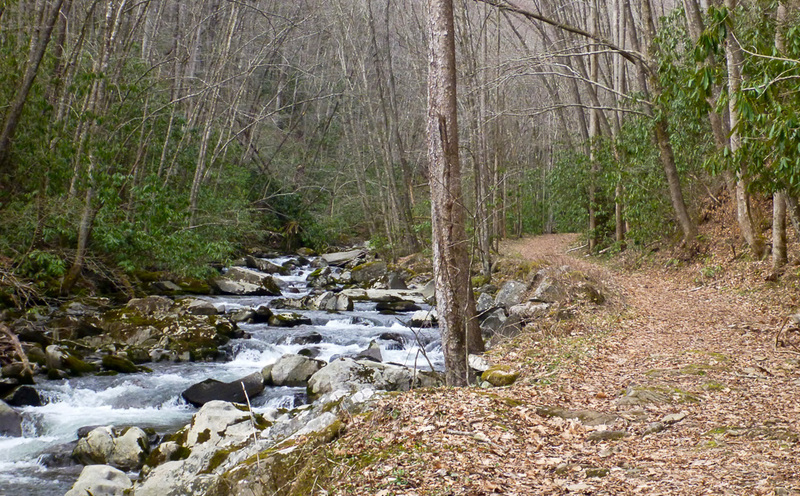 Smokemont Loop Trail river crossing. 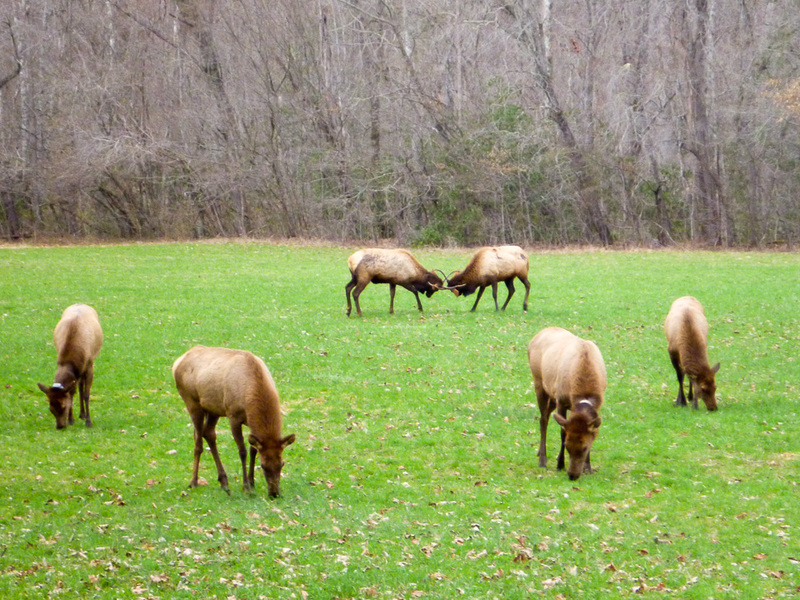 Elk off of Newfound Gap Road South. 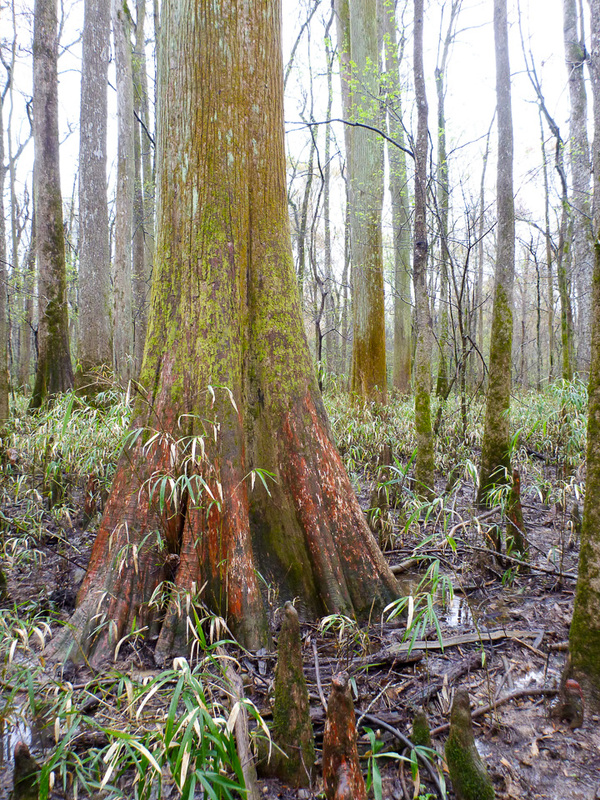 Located in South Carolina’s central wetlands, Congaree National Park protects the largest group of old growth bottomland hardwood forest in the southeastern US. The area is relatively flat and continually inundated in shallow water. The local variety of trees are well adapted to these conditions, Their roots don’t rot and they are able to grasp the sopping wet soil well enough to reach heights in excess of150 feet (47 m). 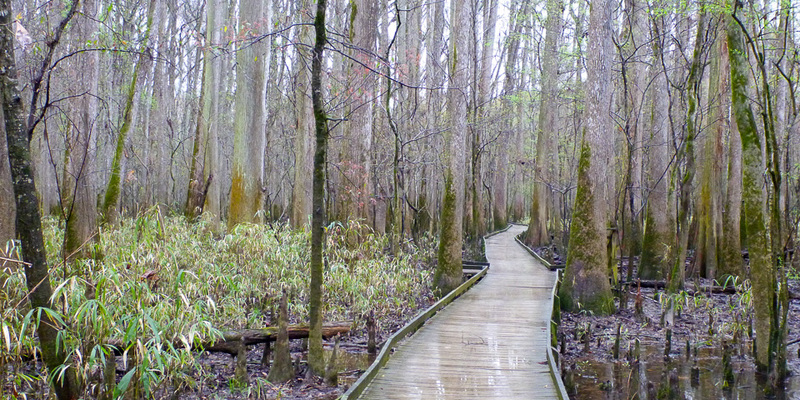 The slow flowing Congaree River creates the southern border of the park, and it is known to flood its banks frequently between November and May. There are no roads through the park, but much of it can be seen by kayak or canoe. 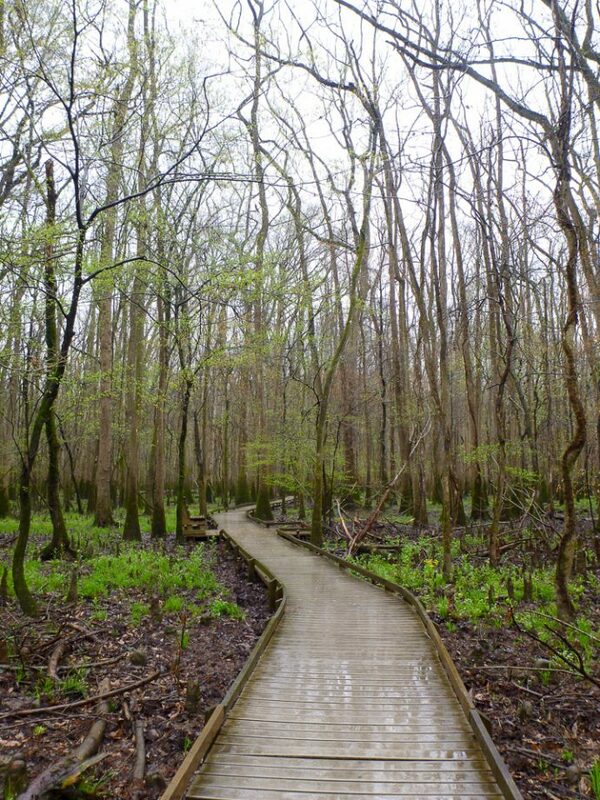 Take the 2.4 mile elevated boardwalk loop to get a great lay of the land without ever getting your boots muddy. 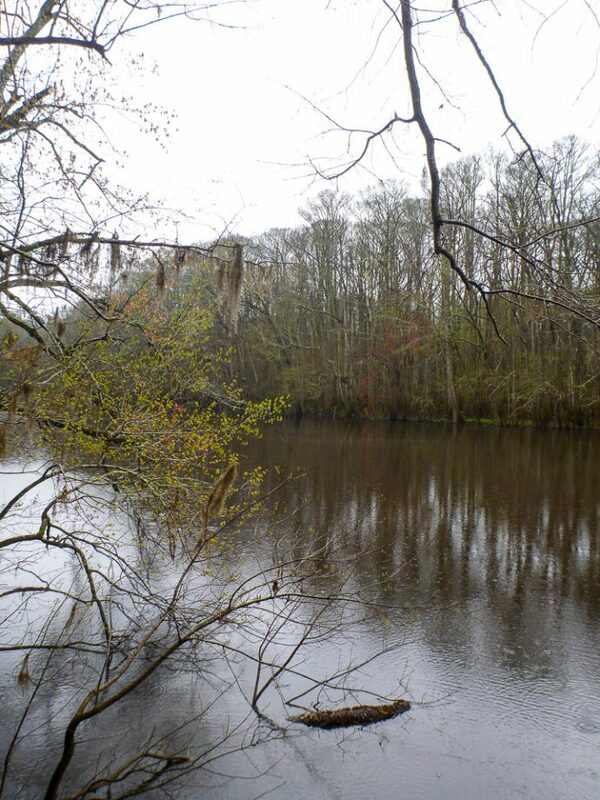 Hike the River Trail out to Congaree River (10 mile, 16 km round trip), and find a flat spot near the water to camp. 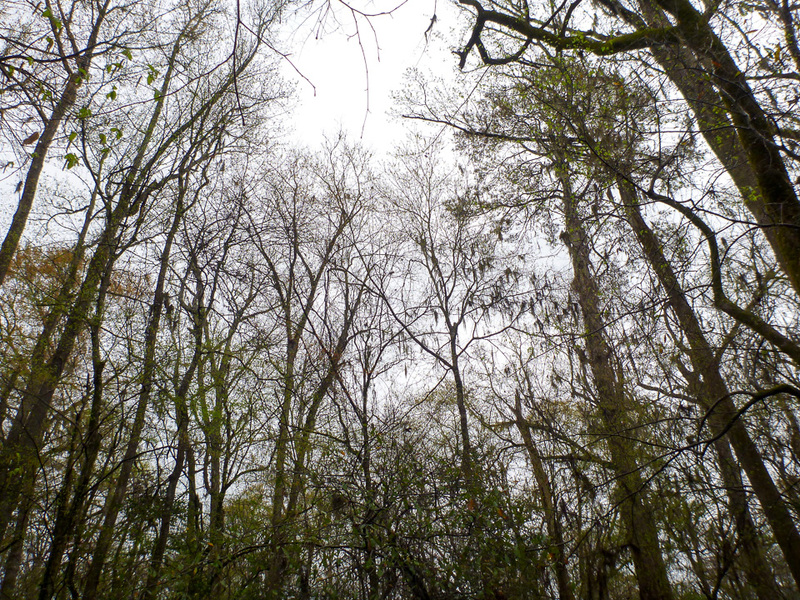 There are no designated backcountry campsites in Congaree. 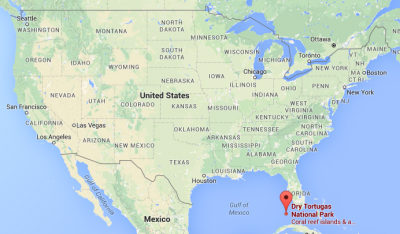 I’d like to kayak the 15 mile (24 km) Cedar Creek Canoe Trail. 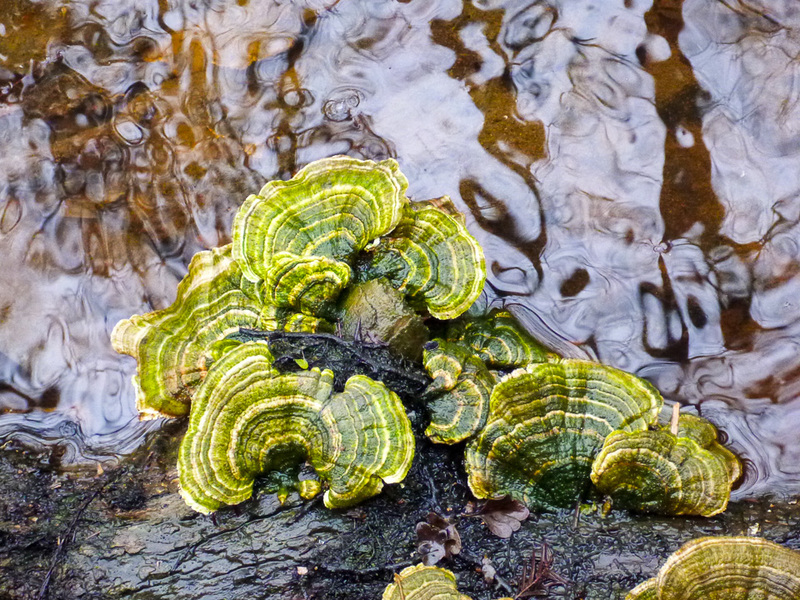 The creek is over hung with branches and fallen trunks; You essentially paddle through the forest. Inquire about the water level ahead of time. Free ranger guided canoe tours are also offered for shorter distances. 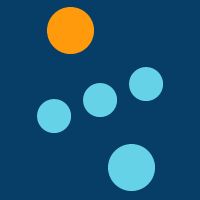 For more information on my visit check out my post. 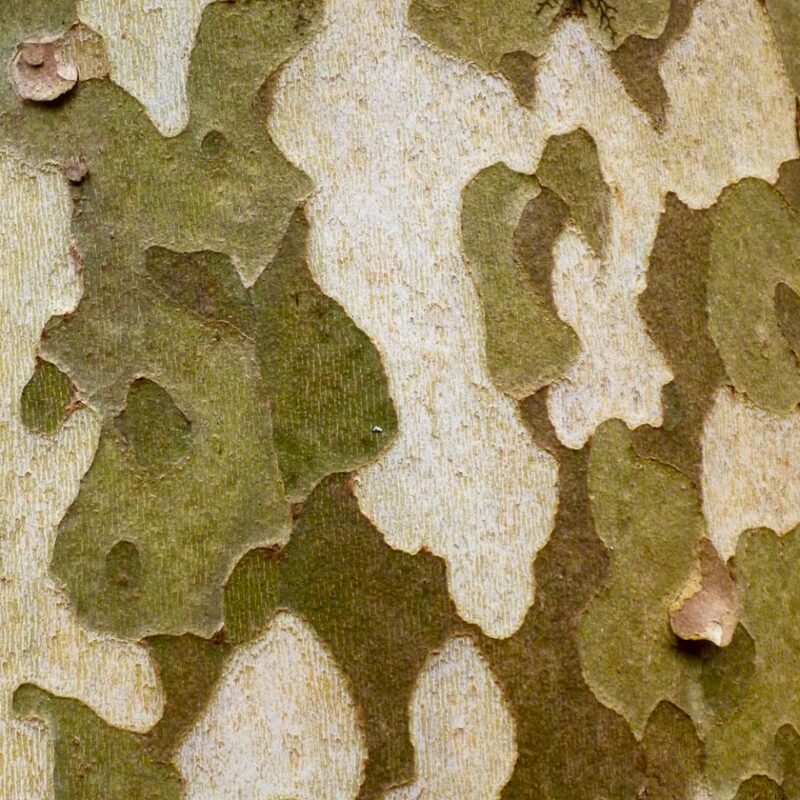 The small knotty peaks are called “knees.” They grow up from tree roots and their purpose is yet determined. 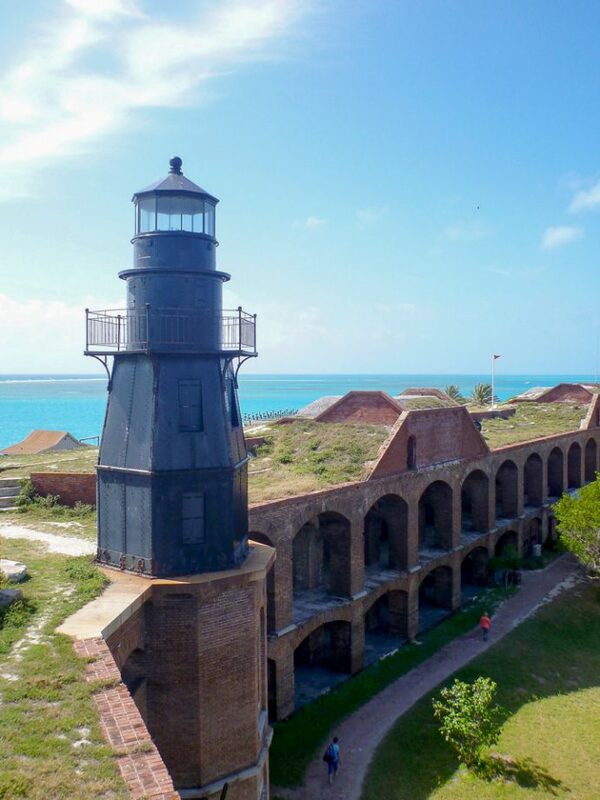 Isolated in open water 70 miles (113 km) west of Key West, Dry Tortugas National Park encompasses 100 square miles of shallow reefs and sandy sea floor punctuated with seven small islands. 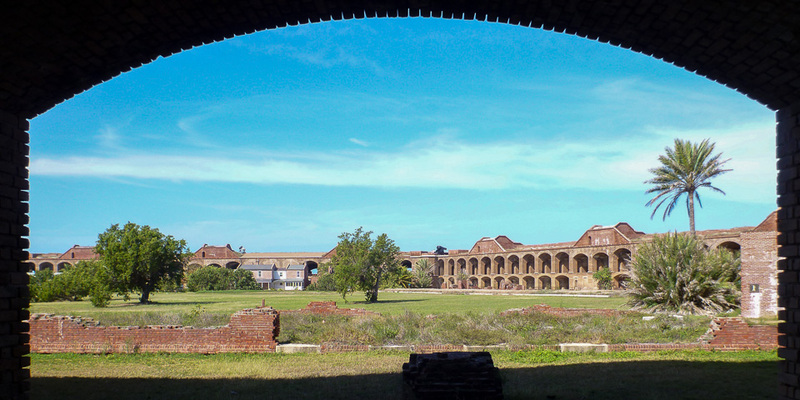 On the largest of the seven stands the imposing Fort Jefferson. The park is accessible by ferry ($175), seaplane ($555), and private boat. 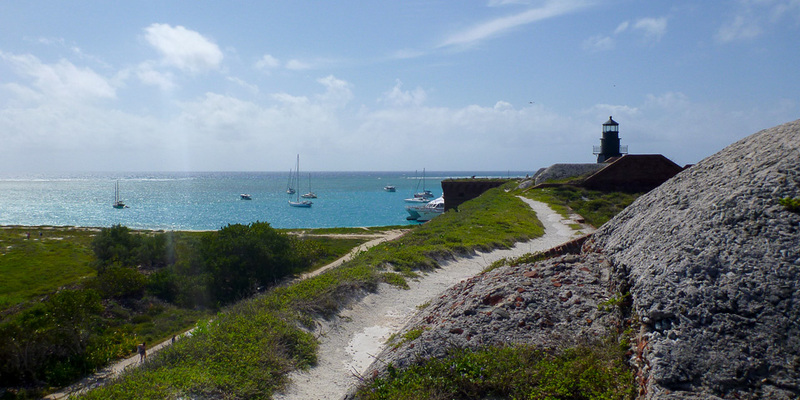 The vibrant reef and overgrown shipwrecks provide excellent snorkeling and SCUBA diving opportunities. 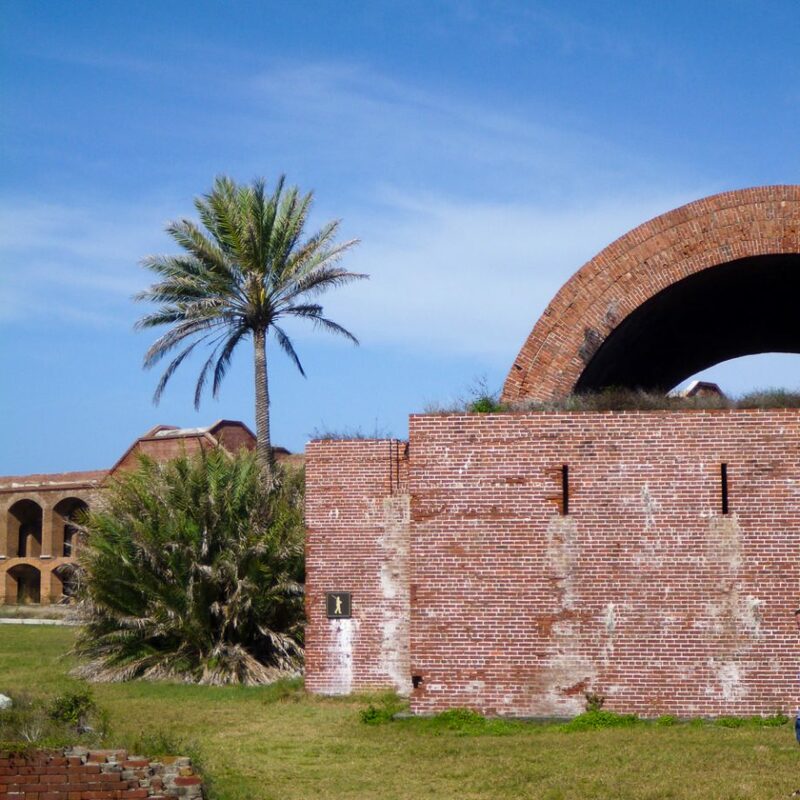 Fort Jefferson is a huge three story brick fortification, and it’s almost completely open for visitors to explore. 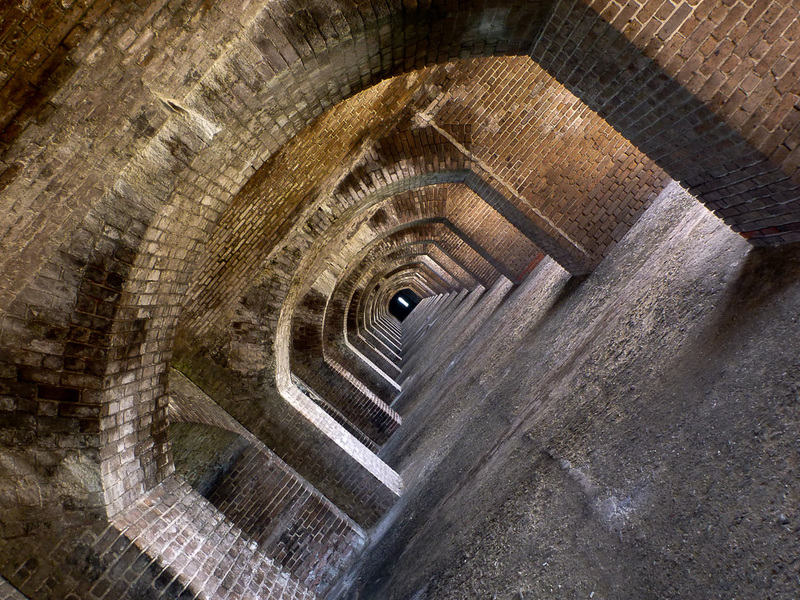 I recommend walking the perimeter sea wall and making a lap around the third story roof pathway. Snorkel rental is included with the ferry ticket which makes it hard to pass up. While walking around the fort keep an eye out for the home made Cuban refugee boats called “chugs” that landed on the island and are now on display. Overnight beach camping on the island is permitted by reservation only ($15 per site). 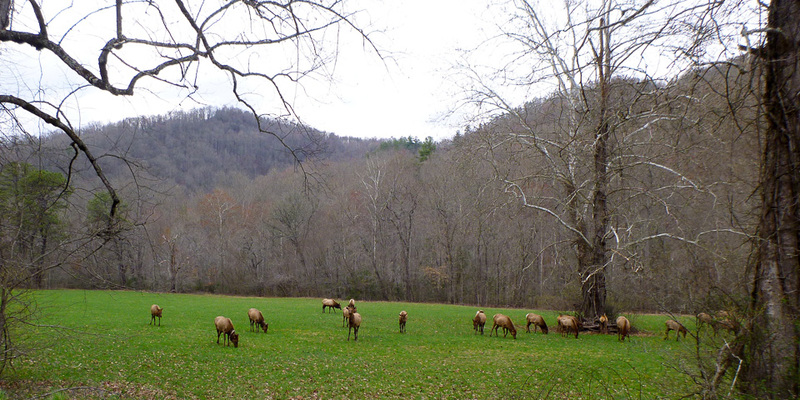 Reservations are required, and during winter peak season campsites should be reserved months in advance. *I not affiliated with either of these companies. 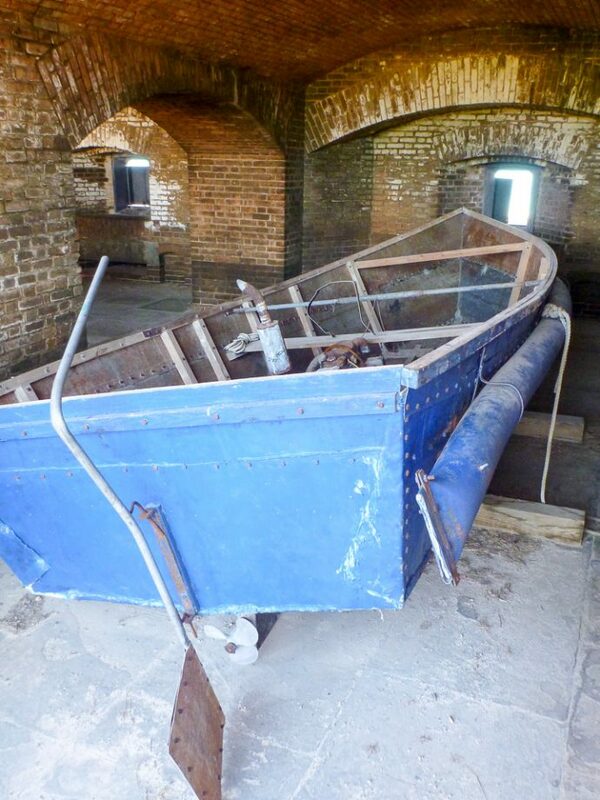 Chug boat from Cuba that landed in Dry Tortugas and is now on display. 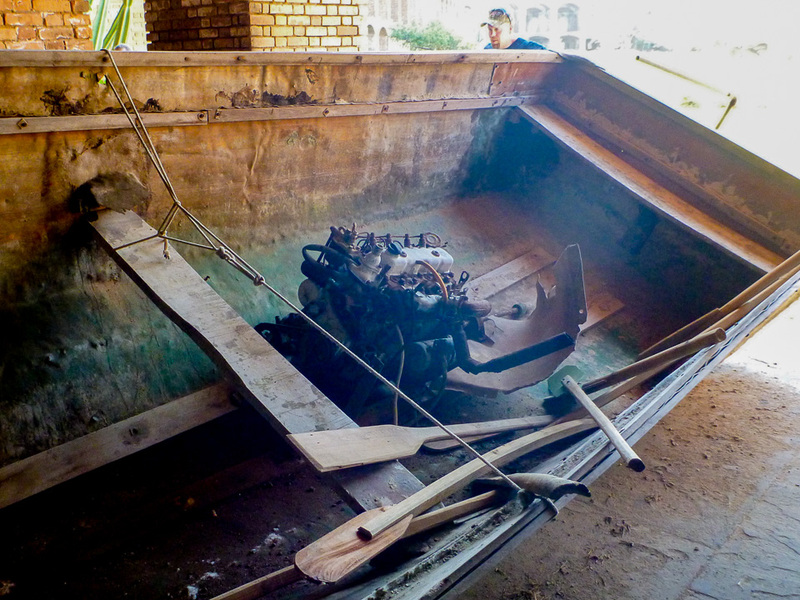 Exposed engine on the chug. 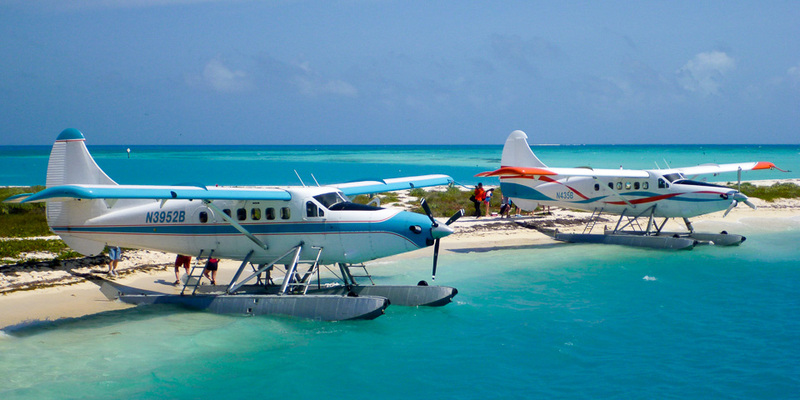 A trip from Cuba to Dry Tortugas would takes days in a boat like this. I was fascinated to see it up close, and it makes me more aware of the conditions faced by refugees from the Middle East. 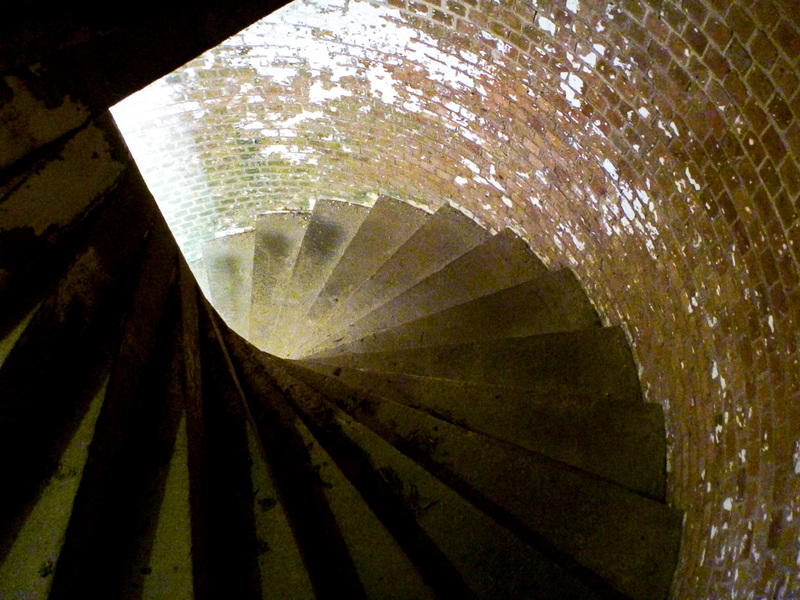 Low level lighting in the stairwell. 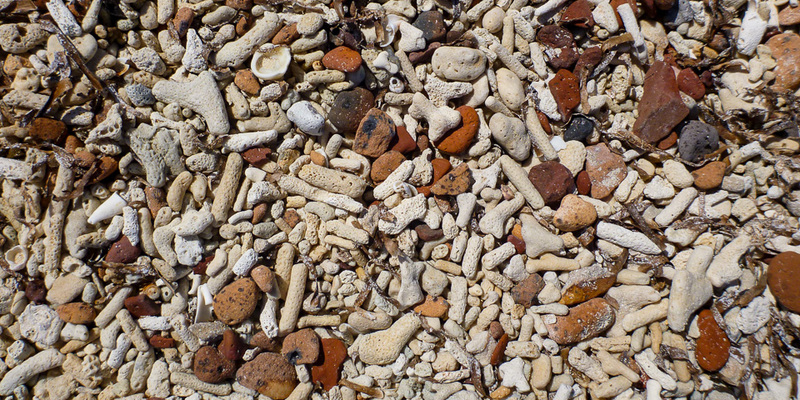 Rounded coral and brick beach cover. Everglades National Park is an expansive wetland area covering the continually inundated southern tip of Florida.  The uniqueness of the area is widely recognized. 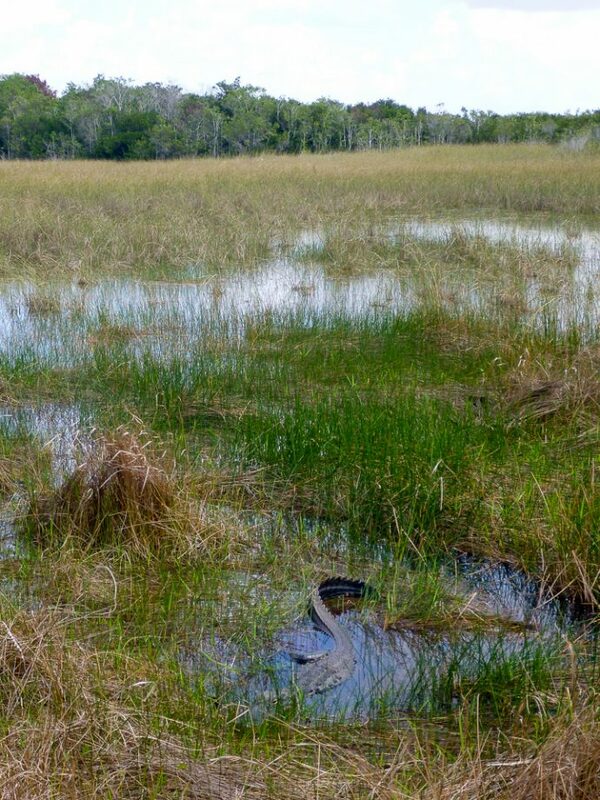 It is one of only three sites in the world to be declared an International Biosphere Reserve, a World Heritage Site, and a Wetland of International Importance. 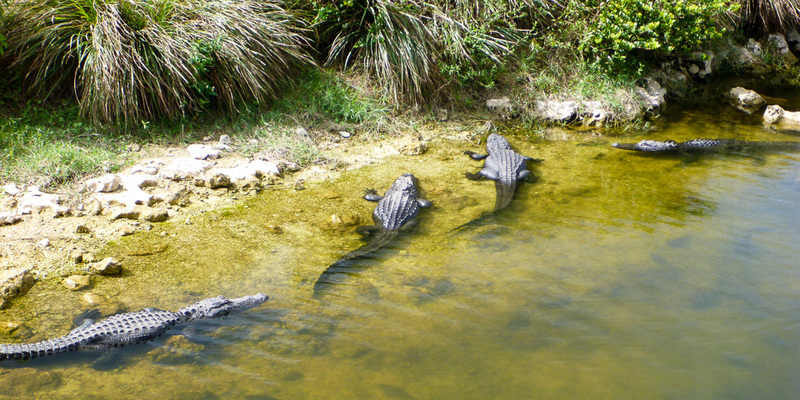 Everglades National Park was the first national park established to protect not just a specific species, like sequoia trees or bison, but an entire ecosystem, including the American crocodile, manatee, Florida panther and bald eagle – all of which rest precariously on the Federal Threatened or Endangered Species List. 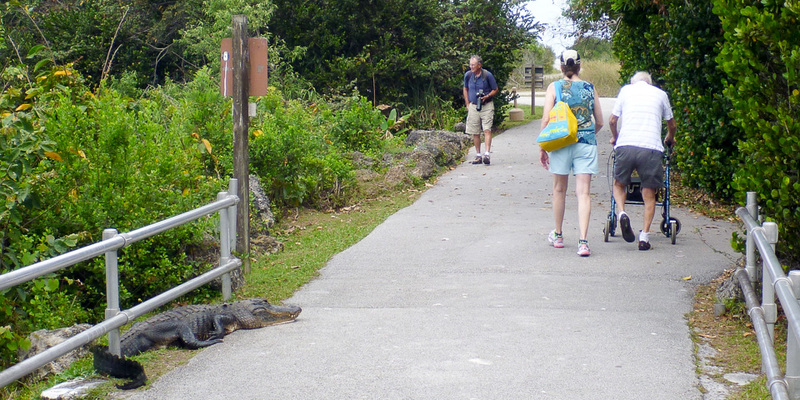 Must See: Alligators and turtles sunbathe along a 15 mile (24 km) looping pathway that leads south from the Shark Valley Visitor Center. Tram tours are offered (2 hours, $24), but the pathway is open to bike traffic as well. 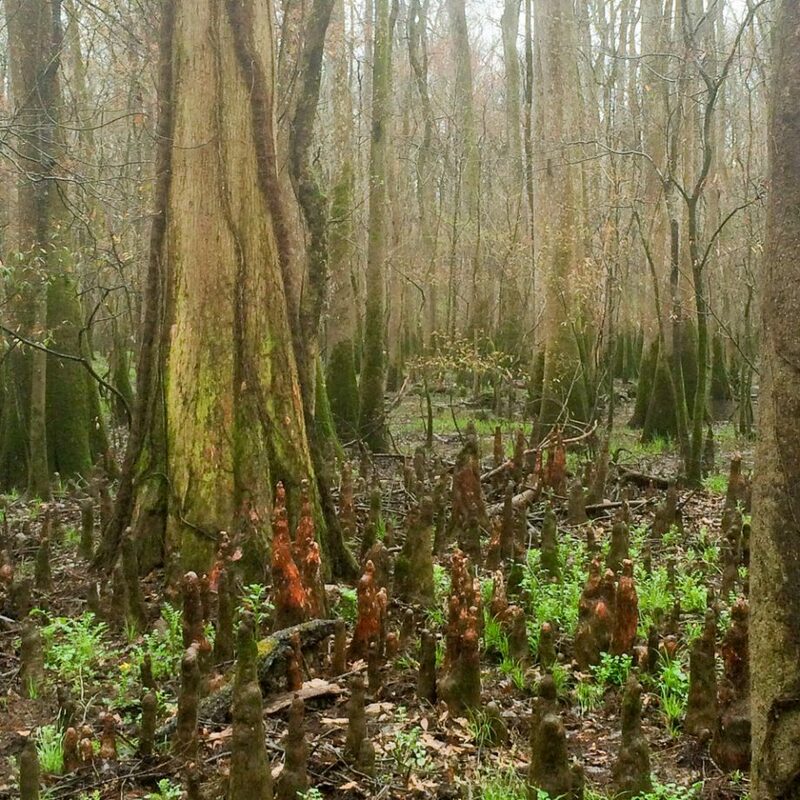 Off the Beaten Path: Consider taking a ranger guided cross-country hike through knee deep wetlands and cypress groves. 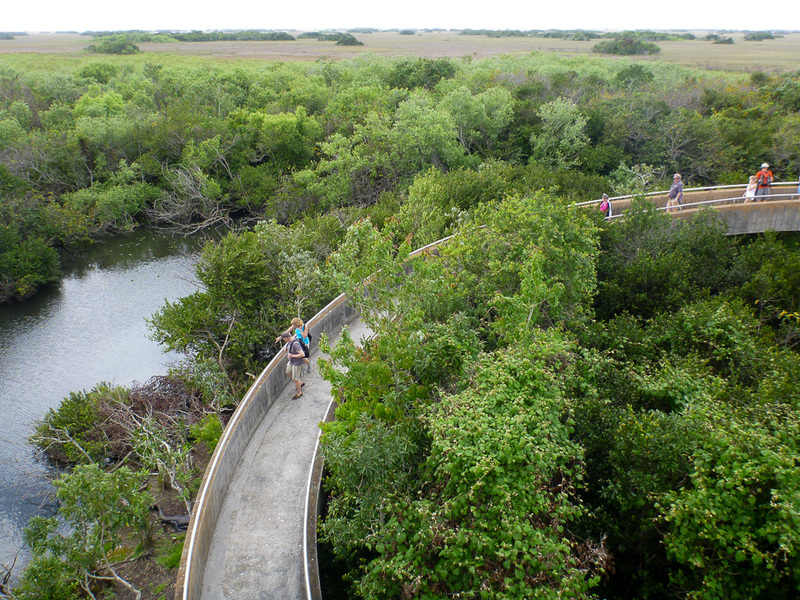 Known as “slough slogging” these hikes are reputed to be the only way to really experience the Everglade wilderness. 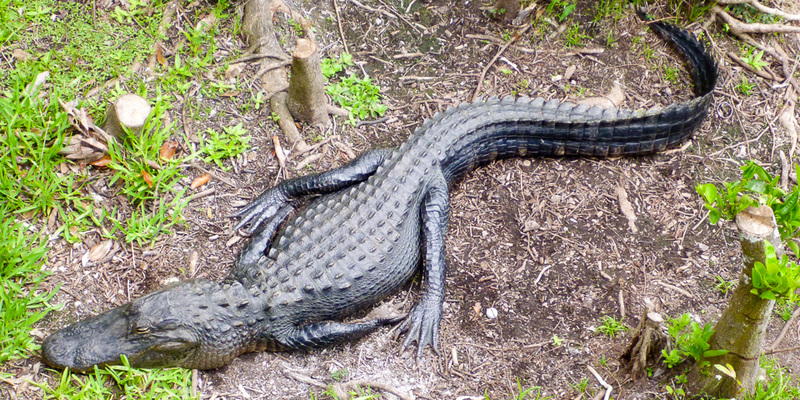 Keep an eye out for gators. Next Time: I’d like to see the interior of the park better by booking an airboat tour ($20), or by driving the 38 mile (61 km) road through the heart of the park to Flamingo Visitor Center. 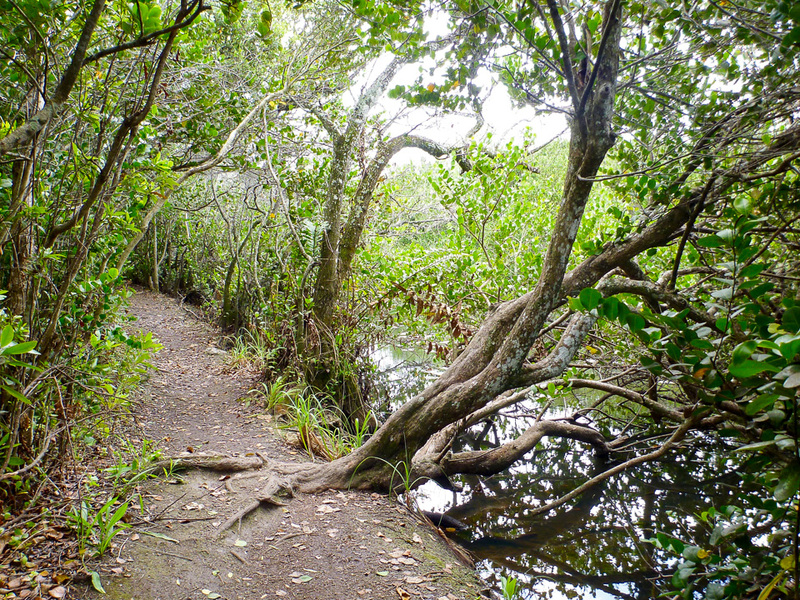 Short trail in Shark Valley. Gator near the Shark Valley bike path. Shark Valley observation tower. They are pointing at the same gator that is in my first picture. 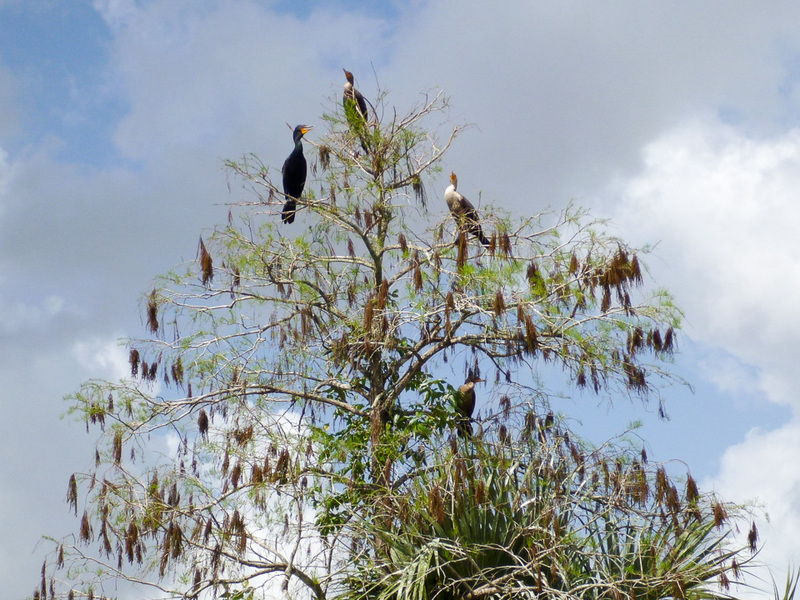 Big Cypress National Preserve. 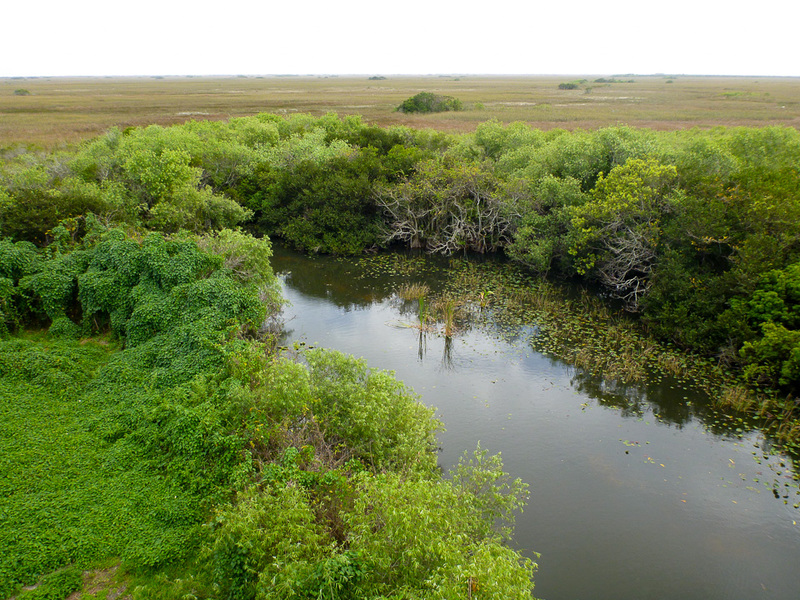 The preserve is adjacent to Everglades NP. 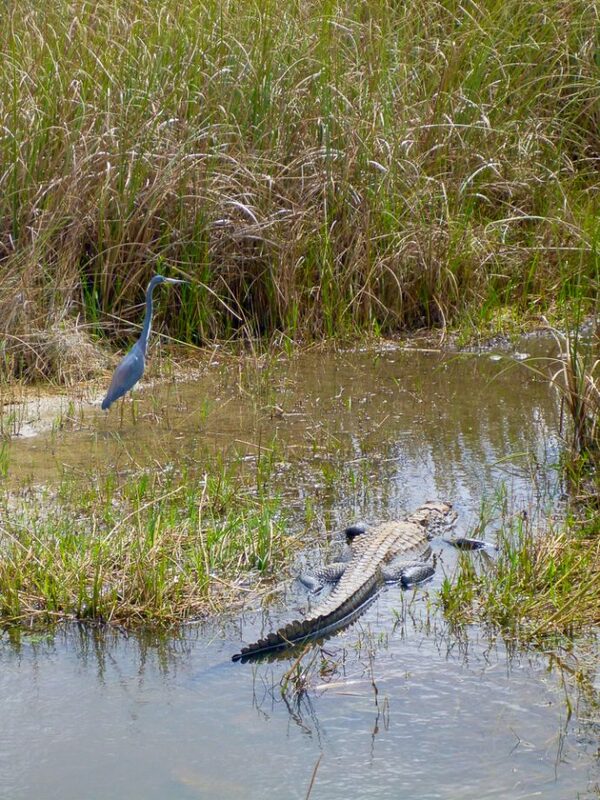 The park ranger led a group of 20 right past this gator. I was shocked. 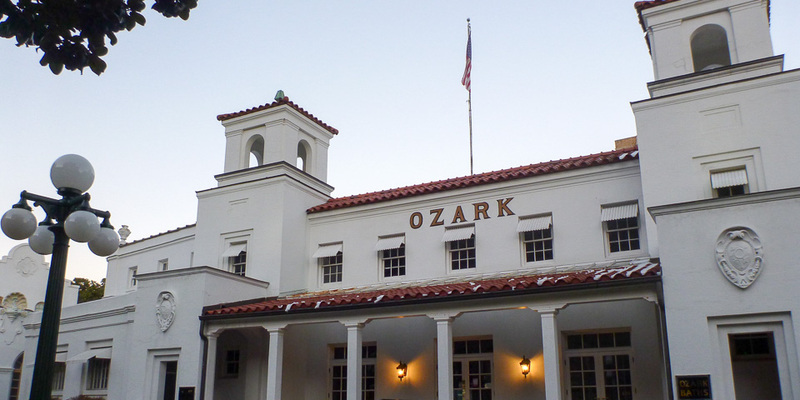 After the Louisiana Purchase in 1803 Americans began to travel to the hot springs of central Arkansas for their alleged healing qualities. 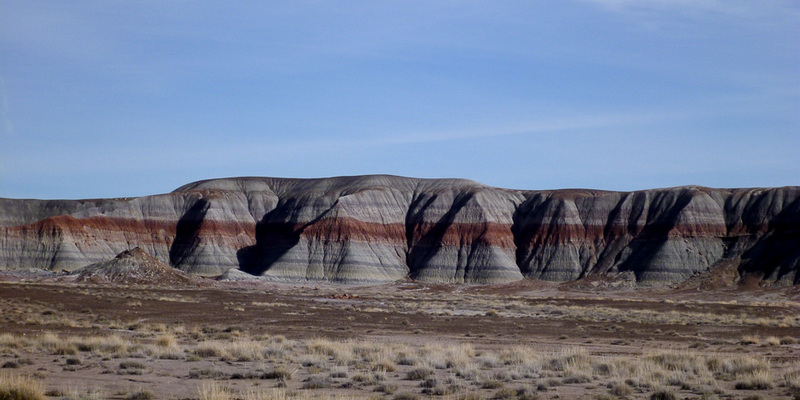 Big Bend is the biggest secret you’ve never heard about. 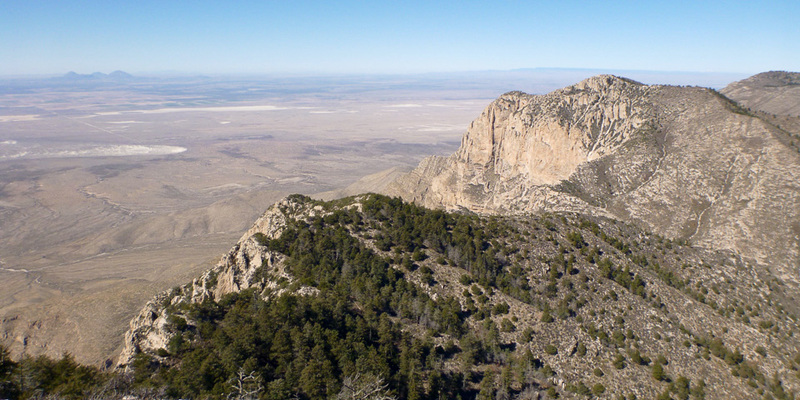 Formed out of a prehistoric saltwater reef, the peaks of Guadalupe Mountains National Park tower 5,000 feet (1,520 m) over the plains to the south. At 8,751 feet (2,667 m) tall, Guadalupe Peak stands out above the rest as the highest point in Texas. 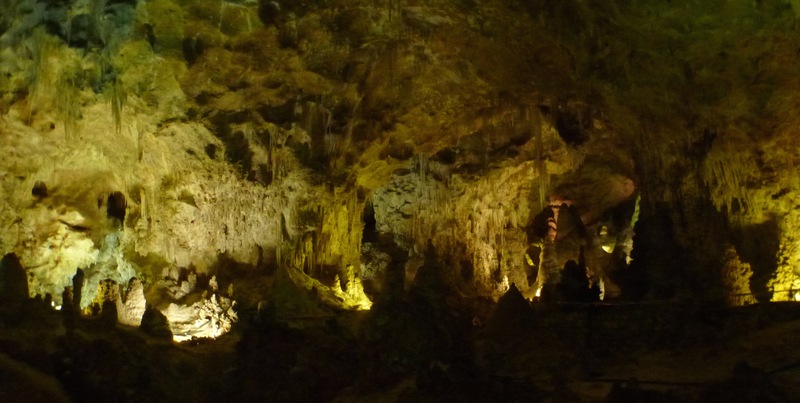 Tucked away in the southeast corner of New Mexico, the immense limestone caves of Carlsbad Caverns National Park offer a surreal experience 750 feet (229 m) below ground. 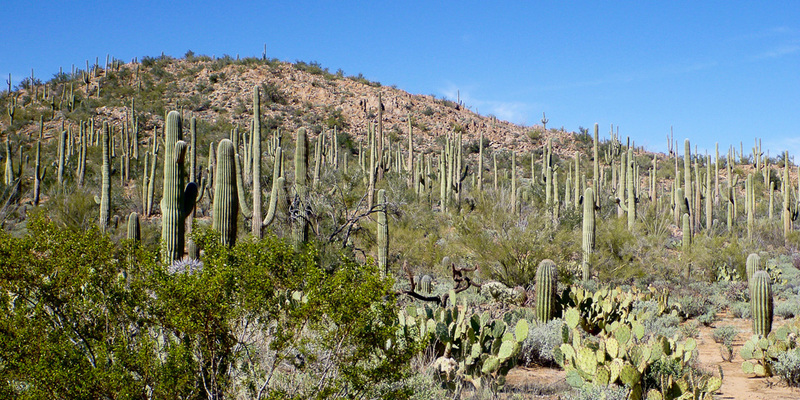 Saguaro National Park is divided into two districts, one on either side of the city of Tucson. The West-Tucson Mountain District is smaller, lower in elevation, and contains far denser groves of saguaros. 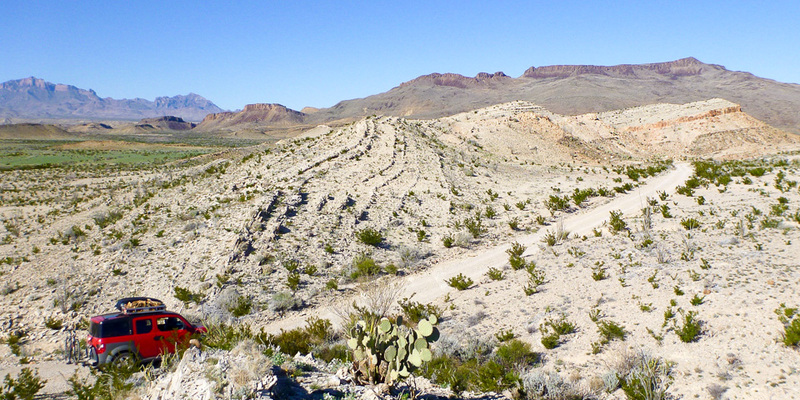 The East-Rincon Mountain District has fewer saguaros, more hiking options, and many backcountry campsites available.